Crag Tarn is the name I’ve given to a small but attractively set tarn to the west of the summit of Sharp Haw on Flasby Fell. Whilst I’d be the first to admit that Crag Tarn is hardly the most original name in the world it does make sense in this case. 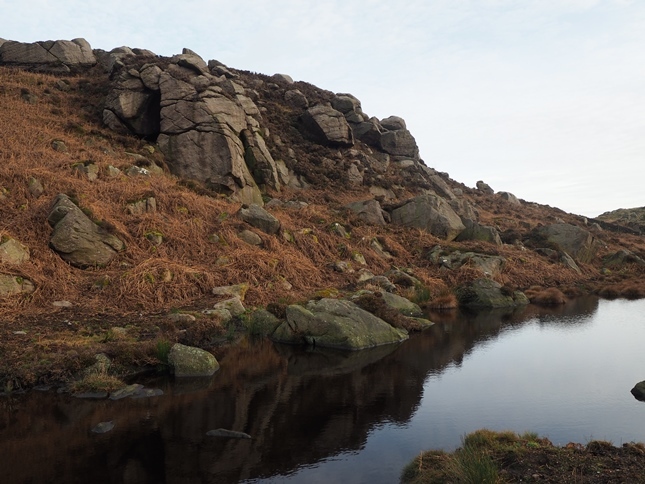 The small shelf that the tarn is sited on is set above the slopes of Crag Wood immediately to the west and just below a substantial gritstone crag. 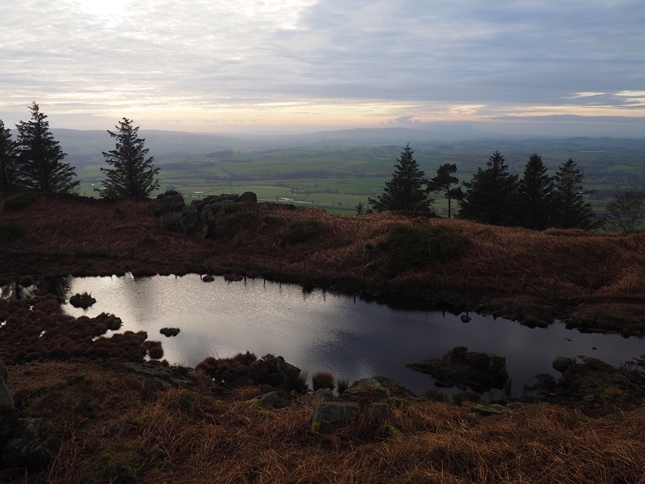 The tarn cannot be seen from the top of Sharp Haw but it is fairly easy to find by following the wall that drops down south-west from the summit. Once the ground begins to flatten out simply turn right and the tarn is there in front of you. It is a nice little spot and one that my friend Matt and I found on my first visit to Flasby Fell back in 2006. 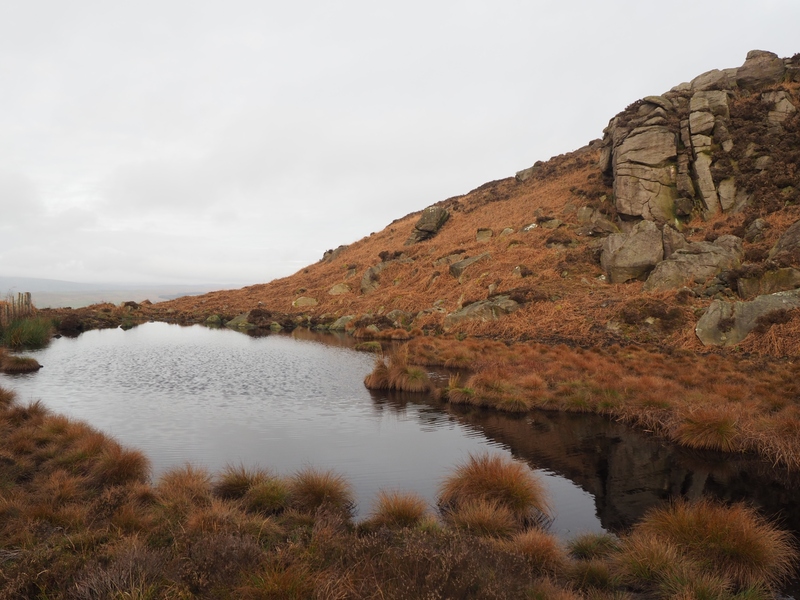 In fact it was by the tarn, rather than on the neat summit of Sharp Haw that we decided to sit and eat our lunch. The view south-west from the tarn is particularly pleasing and includes Weets Hill and the instantly recognisable silhouette of Pendle Hill.